When requested to provide project 3-D kitchen CAD files, George is always timely and accurate in fulfilling our 3-D CAD requests and subsequent client revisions. When project schedules and milestones become overwhelming, George provides additional assistance in the production of construction documents and electronic files to meet project schedules and milestones. He also employs our in-house CAD Standards in his work staying consistent with office procedures reducing post-work confusion. Working with George is a pleasure due to his professionalism, punctuality and communication skills. We are very satisfied with George’s efforts and end results and look forward to working with him at any opportunity. George is one of the most detail-oriented people I know. His talents, along with his expansive knowledge of foodservice equipment and design, make him a valuable commodity to the industry. I’ve known and worked with George for three years and I appreciate his hard work and diligence. We utilized George’s Cad drafting services on a very sensitive rush job and George produced excellent results. Based on that we used George’s service on a second project and expect to continue to use his services. If he says he will have the work by a specific day and time, you can count on it being accurate, complete and on time. George was consistently on time and accurate with the production of CAD drawings for a major sports venue project. I highly recommend him. Working with George at The Baggott Group to create and maintain our Revit families and update our CAD files has been a seamless experience. All communications and data exchange has been done with the smooth sailing of an experienced captain steering his ship through all obstacles and to the finish line without fail. We continue to work with George on an ongoing basis, knowing that we can depend on him to produce what we need when it is needed. We have been more than pleased with the results. 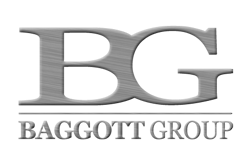 Baggott Group provides service, quality, and professionalism that always exceeds my expectations. I can tackle the toughest projects with confidence knowing I am working with the best. Lori SchroederOwner# – L. Schroeder Consulting Inc. Working with your firm has been a pleasure. The professionalism and expertise are top notch! Our staff has been able to integrate with your firm seamlessly via internet transfer of drawing files and with the rapid response of your office, we can effectively respond to our clients as needed. The assistance of your drawing capabilities has allowed us to grow our design-build end of the business. Thank you for all your help! George is very responsive, as well as good at what he does. I have used George’s services to help design stainless steel fabrication for foodservice equipment. His product knowledge and AutoCad expertise have helped us to turn ideas into working models. George is very knowledgeable of the restaurant industry and the people in it. I’ve been associated with him in several capacities and he has always been a pleasure to work with. George has a huge thirst for technology and is always current with whatever it takes to design kitchens and bars. George always has his clients best interest in mind.